Are you a passionate hairstylist with strong focus on your clients who wants to combine independence with working together with other inspiring creatives? Are you or do you want to become independent and a real entrepreneur and looking for a dynamic environment with lots of opportunities to create a bigger clientbase? 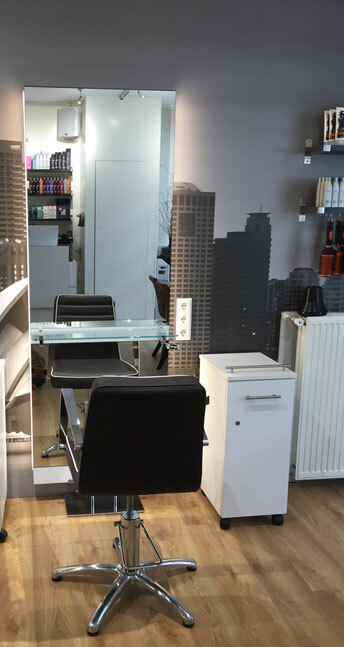 Do you want to take the next step but all responsibilities of a salon of your own you can do without? You are able to help walk-in clients and expand your network of clients. Our salons are good located near public traffic and also parking options are good. You will be working with nice collegues, there are enough opportunities to grow and you can attent all our trainings at Facility Hair Academy. During the year several salon trainings will be scheduled. Beside your own skills good products are essential for every hairdresser. We work with three different productlines and two colouringlines. Both colouringlines are available at wholesale with discount. Selling all kinds of products enables us to provide washing and stylingproducts available for your clients. We also offer a 10% commission on all your sold products. NAK Hair + colouring line. NAK Hair is manufactured in Australia and develops haircare products for the professional hairdressing industry. The NAK products reflect a very concious Australian lifestyle which respects the unique sunny continent with endless blue skies, surrounding oceans and majestic landscapes. All products are sulfate and paraben free. Haircare label Number 4 is created in close cooperation with fashion-designers, (environmental) scientists, artists, musicians and industrial designers. The best natural ingrediënts combined with state of the art technology and innovation enables us to create the ultimate look which defines new borders when it comes to styling. The 100% vegan, sulphate-, gluten-, natriumchloride- and paraben free formulas have never been tested on animals and do not container other damaging ingrediënts. Are you a professional already or do you want to step up to real entrepreneurship?